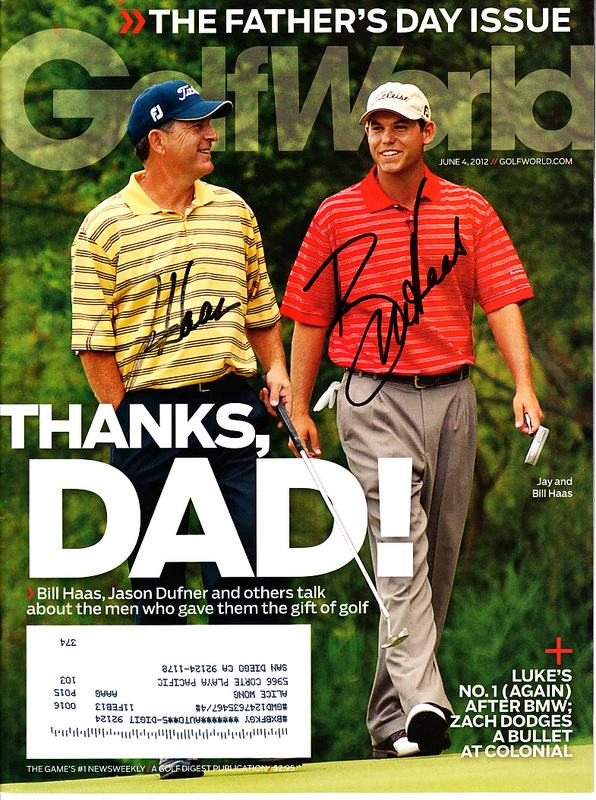 Complete 2012 Father's Day issue of Golf World autographed in black marker by current and former PGA Tour stars Bill Haas and Jay Haas. Obtained in person. With certificate of authenticity from AutographsForSale.com. ONLY ONE LEFT.